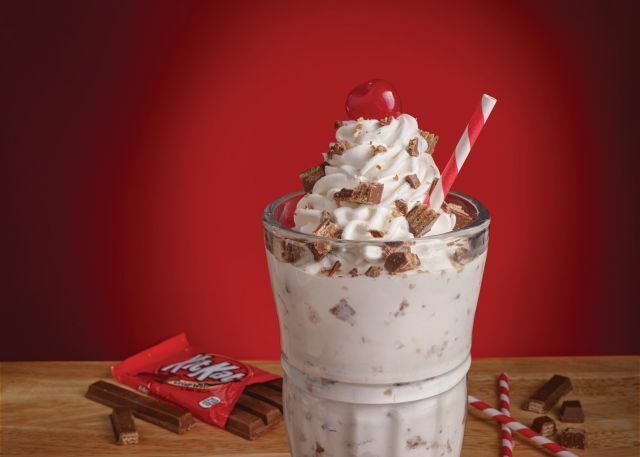 Steak 'n Shake releases three new items for their summer menu: the Kit Kat Milkshake, Bacon 'n Cheese Triple Xtreme Steakburger, and Strawberry Cheesecake Milkshake. The Kit Kat Milkshake is a hand-scooped milkshake blended with milk chocolate Kit Kat candy bars and then topped with whipped cream and a cherry. 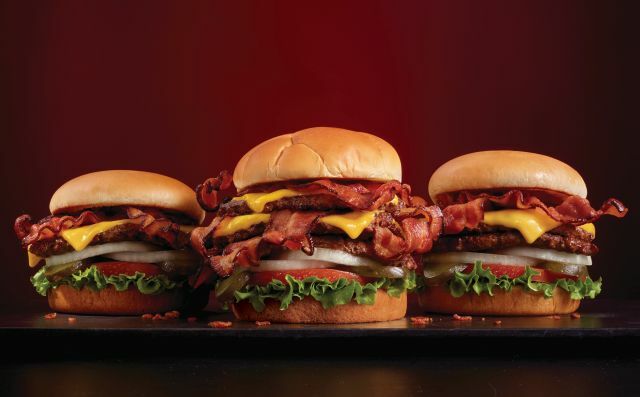 The Bacon 'n Cheese Triple Xtreme Steakburger features nine half slices of the chain's new, ultra-premium hardwood-smoked bacon that Steak 'n Shake is touting as "larger, thicker and more flavorful than ever." The bacon slices are laid atop three hand-crafted, beef steakburger patties along with two slices of new, thicker American cheese, lettuce, tomato, pickles, onion, and ketchup. The new burger carries a suggested price tag of $7.99 (may vary), which includes a side of fries. You can also get it as a smaller Bacon 'n Cheese Double Steakburger with fries for $4.99 or Bacon 'n Cheese Single Steakburger with fries for $3.99. The Strawberry Cheesecake Milkshake consists of a hand-scooped milkshake mixed with strawberries and cheesecake pieces, topped with whipped cream and a cherry. The suggested price for both shakes is $3.69 each (may vary). The limited-time summer menu items can be found at participating locations. Photos via Steak 'n Shake.